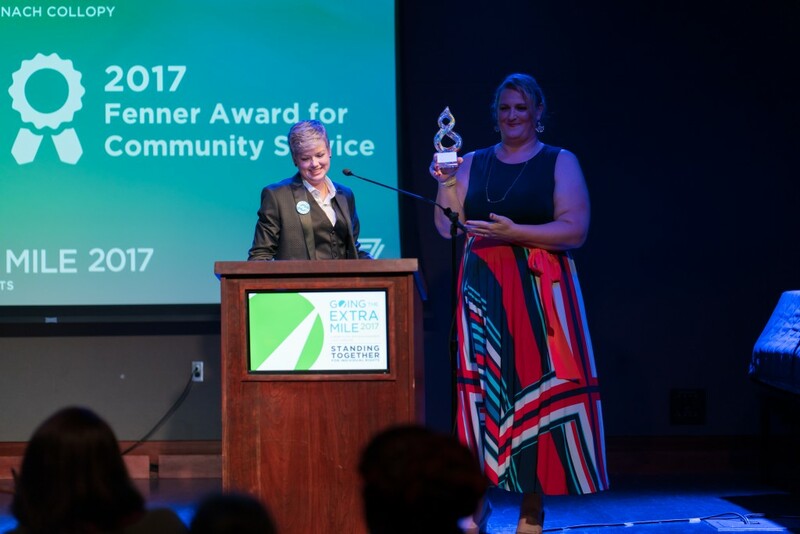 Earlier this month, Ava Benach received the Fenner Award for Public Service from Whitman Walker Health Legal Services. She got it for doing what she does best– winning cases! The award recognizes the unique relationship that Benach Collopy has formed with Whitman Walker Health. Whitman Walker Health is the premier health care provider serving the LGBT community in Washington DC. Since its founding in the early days of the HIV crisis, WWH has expanded its services to provide more holistic assistance to its community. For over thirty years, Whitman Walker has also provided legal assistance to the community. From denials of access to health care to wills to immigration, WWH Legal Services has risen to the changing needs of the community and served with pride and distinction. Among the recently emerging needs is a need for high quality representation in immigration matters. A significant percentage of of those seeking legal assistance are transgender immigrants, principally from Central America. Violence against transgender populations in Central America is at appalling levels. Transgender individuals face violence from their childhood through their adulthood. Whether from family members, teachers, gangs, the police or others, transgender individuals face violence on levels that is shocking. It is no wonder that many flee to the U.S. Many of those fleeing wind up in immigration detention facilities managed by Immigration & Customs Enforcement or private prison contractors. ICE has a terrible track record of protecting transgender women in ICE custody. Violence from guards and other detainees is endemic. Denial of medical care is routine ICE’s track record suggests that there is no safe way for ICE to manage the detention of trans individuals. Throughout their lives, transgender immigrants face a brutal world. The Benach Collopy/ WWH collaboration was conceived to provide quality legal representation and human compassion to this community. WWH is a trusted name in the community. Trans immigrants in the DC area find their way to WWH and learn about the availability of asylum or visas for victims of crime, trafficking or domestic violence. WWH transfers the clients to Benach Collopy. With our expertise in asylum law, we are able to represent them before the asylum office and the immigration courts. The Benach Collopy/ WWH Fellowship for Trans Asylum has provided funding, training and guidance to a law student to work on trans asylum cases during the summer break from law school. This is the second year of the fellowship and have represented nearly twenty transgender women pro bono in immigration matters. Three have already been granted asylum. None have been denied. The rest are awaiting trial dates, but are securely in the U.S. as asylum seekers with employment authorization. As summer begins, we are pleased to begin accepting a new group of clients. Celina Marquez was last year’s fellow and just graduated from George Washington Law School and we are pleased to welcome Jane Vukmer from the University of New Hampshire to our team as this year’s fellow. The fellows have taken on these cases and care for them like family members. We receive outstanding support and assistance from the entire WWH Legal Services branch. We get so much from these clients. We get to watch as years of persecution and violence recede in the back and watch our clients grow before our eyes. We are witness to successful changes of name and gender markers on identification documents. We watch our clients establish rewarding careers, open bank accounts, access health care, develop healthy relationships, and see a future for themselves. And we get to watch as judges grant them asylum, offering them protection and shelter from the cold and brutal world they escaped. Same trusted immigration law firm. New look that’s more us.